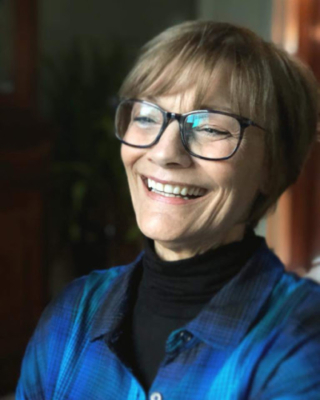 If you have even the slightest interest in action figures, you might have heard the name Joe Amaro a few times, but you’ve seen his handywork more often then you realize. 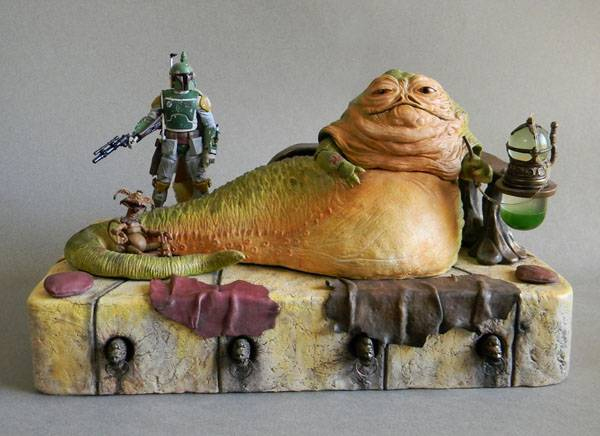 He’s been a graphic designer for over 20 years, made dozens of amazing custom figures and has been working with most major toy companies and design studios. So Joe, twenty years is a long time… How did it start? My first sculpting job was making custom figures for ToyFare magazine back in the 90’s. I worked on all three Wizard publications; Wizard, InQuest Gamer and ToyFare. I used to make custom figures for their “Wish List” and for their comic strip “Twisted ToyFare Theatre” [TTT resp.] 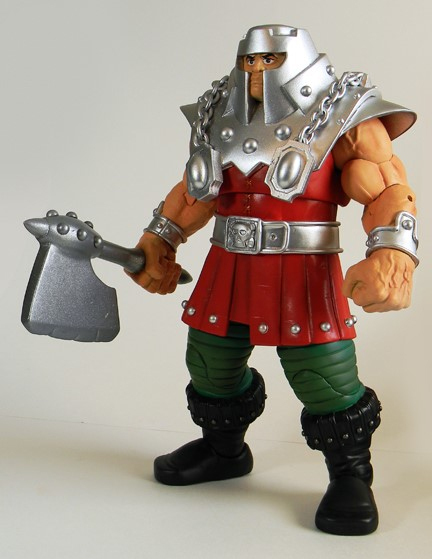 I have been been involved in the entertainment industry making designs/sculptures for magazines, TV shows and feature films with partners like Marvel and Sony Pictures and worked with most major toy companies and design studios, most recently with Boss Fight Studios, Super7 and Four Horsemen Studios. More recently I was able to see the revised MOTUC Snake Mountain that I worked on at Power Con 2018 and it was an amazing feeling. I have been very lucky because not only do I make toys for myself, but also professionally for everyone to enjoy! Sometimes I make figures, creatures or vehicles to go with my toys; these are just for me and my son to play with or to exhibit at a show or convention. Seems like every year I take on a huge “Masterpiece” project. 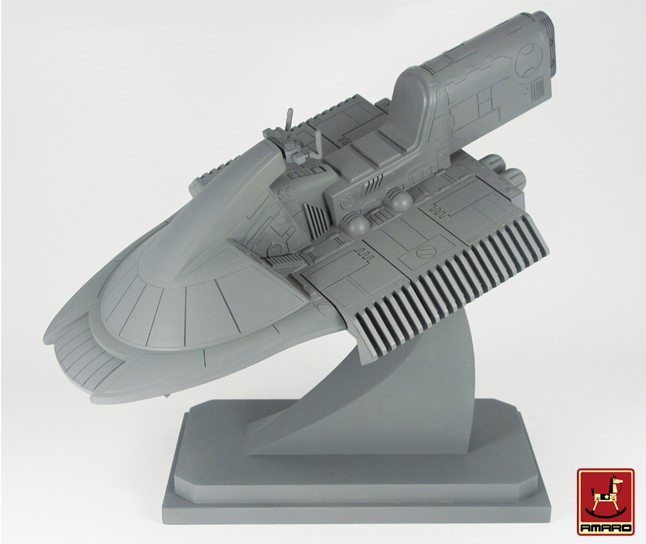 I call it Masterpiece because these projects are usually huge in scale or take months to a year to make. I’ve made Castle Grayskull, a 10″ MOTUC Ram Man, Attack Track – scaled with the MOTUC figures, a 6″Jabba The Hutt set, ThunderCats Classics Mumm-Ra The Ever-Living, a set of TigerSharks, a vintage style StarEagle from StarCom and a whole lot more! When did ThunderCats cross your path? 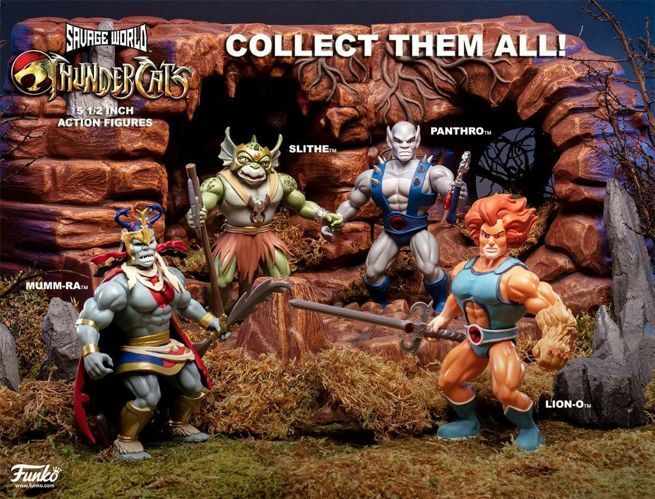 I discovered ThunderCats when I was a kid, like 10yrs old. I was instantly hooked. I loved that it incorporated every genre I love, from Fantasy to Sci-Fi! The show had creatures, magical swords, mummies, unicorns, space ships and alien planets. Plus the story was so good and one of the first, that I could remember , where it was a linear story line and not just one shots. Today’s episode affected what happened in tomorrow’s episode! One of my most favorite memories as a kid was when my dad bought me the Sword of Omens. I ran outside to show the neighborhood kids and we all played ThunderCats. I mean like 15 kids all playing together until sun down and I got to be Lion-O. It was the best!!! My very first official time working on ThunderCats was in 2010 when I sculpted the ThunderClaw for a line of Staction figures Icon Heroes was doing. Unfortunately, the vehicle was never made. 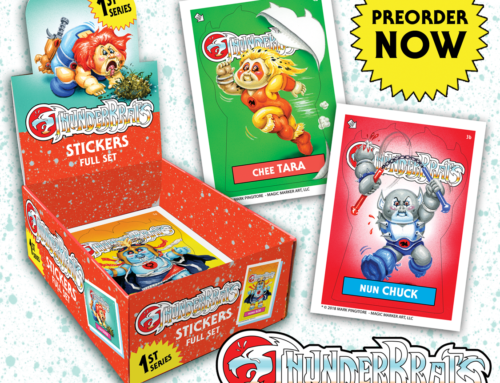 I also did some stationery items for them like letter openers and such all with the ThunderCats theme. I never really planned on this becoming a thing. 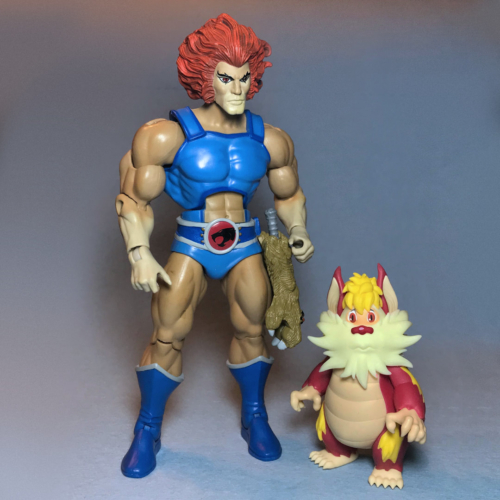 I am a huge ThunderCats fan and I made the Berbils for myself to add them to my collection. But when my friends saw them, they also wanted one. So I made a mold of them and sold several at Power Con last year. I make each of them by hand, casting, assembly and painting all by hand. That means I can only make very few at a time. They are not manufactured. These are meant to be limited art pieces and not toys- they are not for play, but to display along with your action figures. I do add a little articulation so you can pose them, but they are made of resin so they can break easily. I really like to plan things out. Whenever I start any sculpting project I like to do tons of research. I also like to do technical drawings. Just to figure out how things should work, especially when adding articulation. For the Berbils. I found some of the original animation guides and I used those as my template. 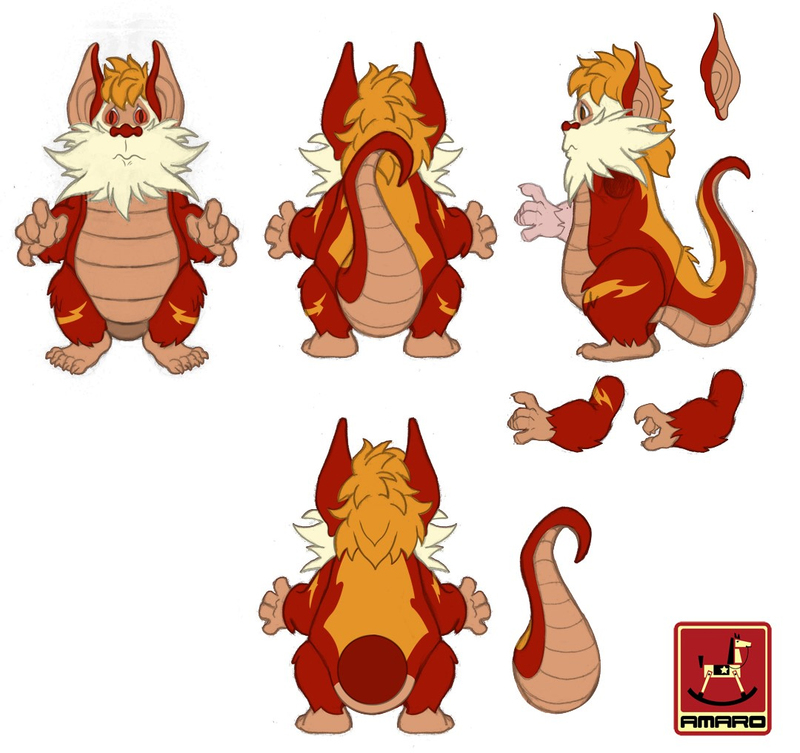 For my custom Snarf I found as many screen grabs as I could, because I wanted him to look exactly like the cartoon from the front and side. In animation they very rarely match up, so that took some time. I wanted both of these guys to be as accurate as possible. I plan on making Snarfer next. Since I made Snarf I feel we need Snarfer as well. After that I think I want to concentrate on making my own characters. 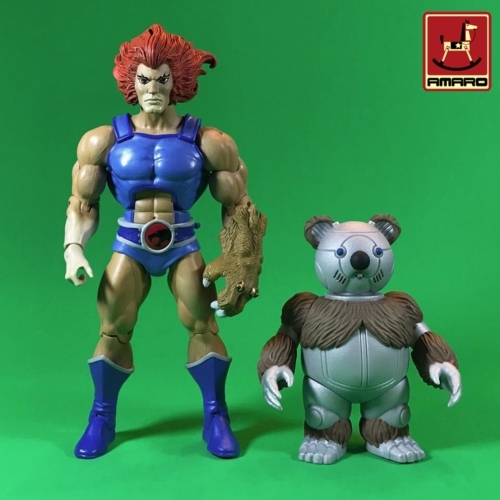 At PowerCon ’18 I showed some original ThunderCats characters that I created. 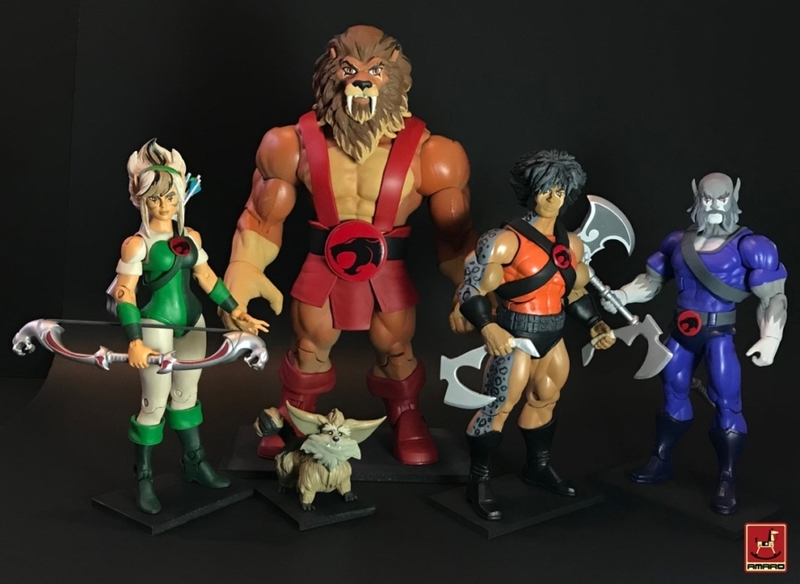 The concept behind these is if there had been a third season of the 80’s ThunderCats animated series, this is what I envision it would be like. It would take place mostly in space and would be about finding ThunDerian refugees. 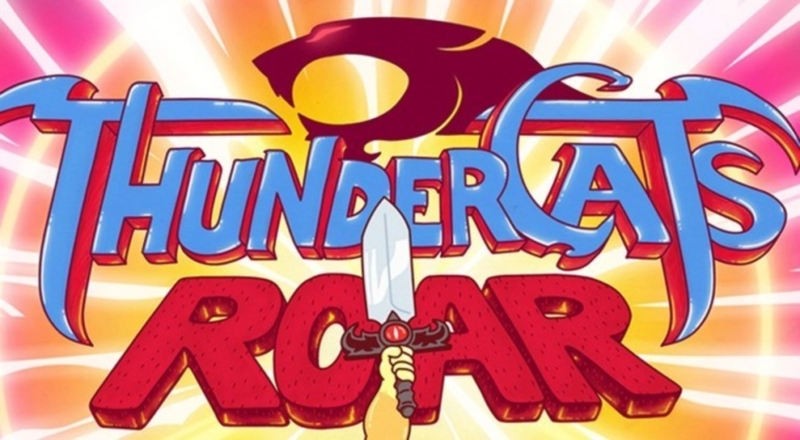 The ThunderCats would be traveling between 3rd Earth, New ThunDera and bunch of new planets. 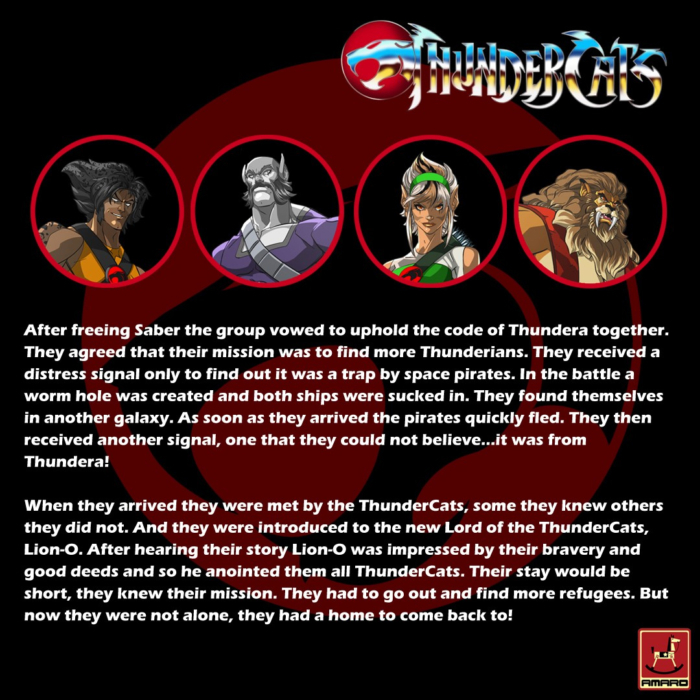 The third season would introduce four new ThunderCat characters that would go on missions to different worlds to find the refugees. 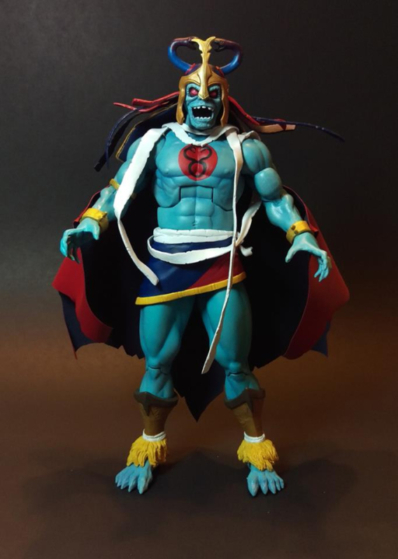 Mumm-Ra would enlist the help of some new Space Pirate characters to stop them. 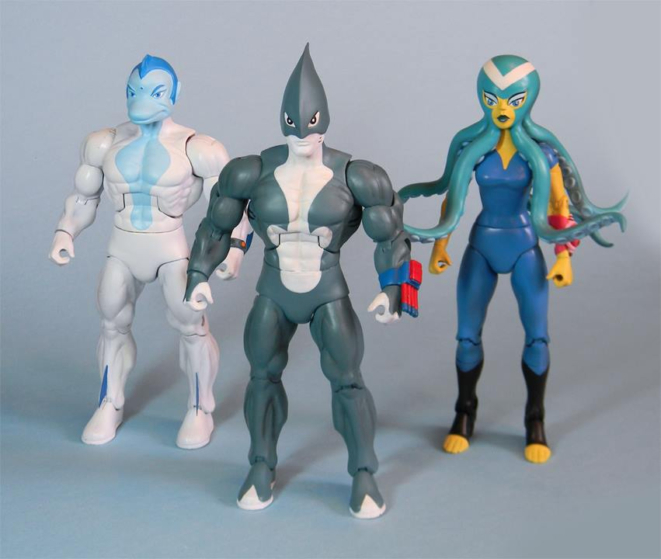 For Power Con I made some custom figures of them to show them in toy form. All the heads and gear were hand sculpted and some of the weapons are 3D sculpted. I made them in the style of the ThunderCats Classic line because I love that line. It was a test to see if fans would be open to me making my own creations and characters, and they were! The response has been overwhelming. You never know how fan fiction will be received, but everyone at the con -and online afterwards- loved them! 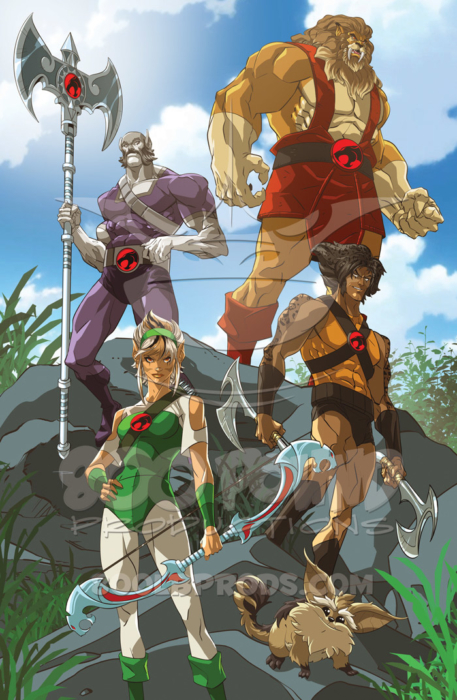 It would be a dream if somehow they became part of the ThunderCats lore! That being said, everyone keeps asking me to show them what the new evil Space Pirates would look like. So I am working on ideas for them. 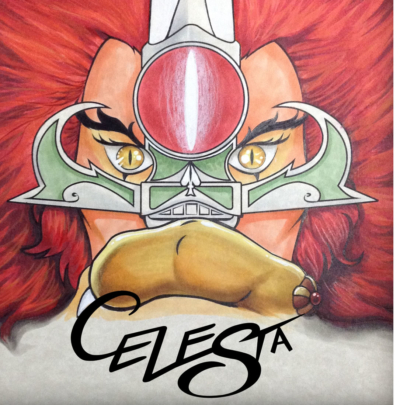 My buddy Michael Pasqule from 800lb Productions has made prints of my Season 3 ThunderCats and has them available on his site! That sounds amazing! Any other projects in the works? I am currently working on another batch of Berbils, so keep an eye out on my facebook and Instagram page for an announcement soon. Again, these are very limited as I can only make a few and most of the time they sell out super-fast. And like I said I plan on Snarfer as well. After that I think I want to concentrate on making my own characters.